Today's morning run didn't happen, oops! **Gotta hit up the gym tonight** My bed was just tooooooo comfy, I couldn't get up! First thing that did come to mind, as I dragged myself out the bed, was what to eat for breakfast. 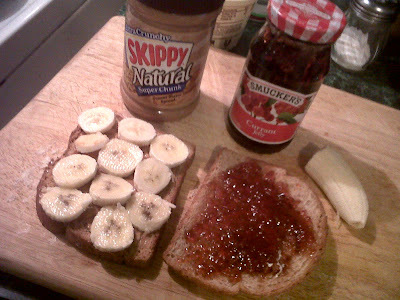 I had the essentials to make a peanut butter and jelly OH-OKAY-YUUH sandwich. Just as I got started, I decided to chopped a banana and throw the whole thing on a pan!! Hello, I am a p&j banana sandwich. 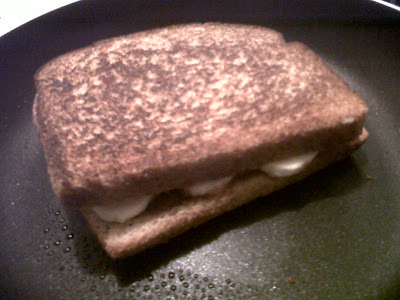 The result was a mouth watering p&j banana bam-in-your-mouth wonder! The p&j melted all over the bread, orgasmic! 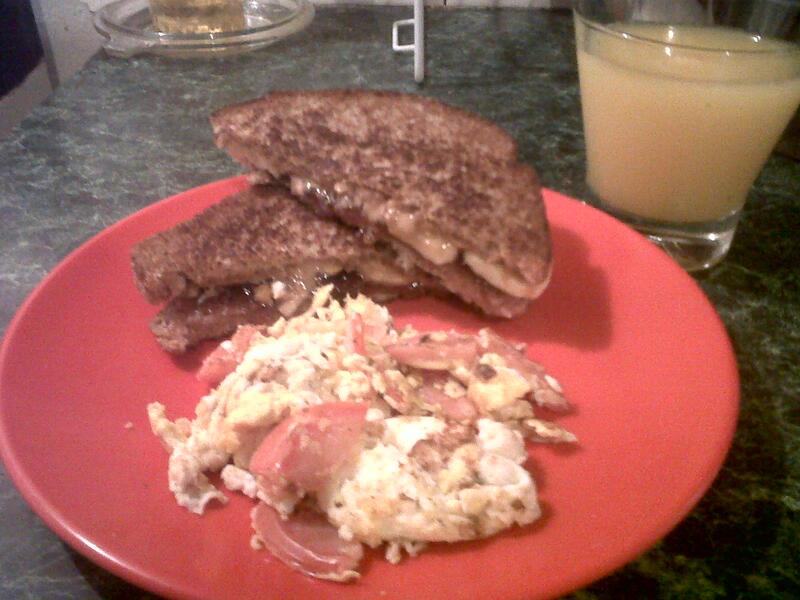 I threw in an egg with tomatoes because I knew the sandwich alone wouldn't fill me up. I was right. Mission accomplished!